For a lot of people, cars are not only indispensable, but very necessary in carrying out the routines of our daily lives. The problem is most people make the mistake of simply picking the cheapest or the nearest repair shop whenever they are in need of a fix. It is to your best interest that you find a trustworthy automotive shop instead of a cheap one as your car may end up in a worse condition after the supposed repair. 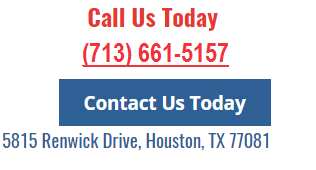 It is very important to make the right decision when picking an automotive repair shop. The automotive repair mechanics need to be qualified if you want the appropriate diagnosis and repair for your car. It would be very smart to take your time and do research on the shops that you are picking from. This would not only help you save more money and time, but would also help a lot in guaranteeing that you are ensured of many trouble-free years. It is highly advised to find an automotive shop with the most up-to-date equipment, and at the same time very knowledgeable and well experienced mechanics. Real experts can quickly diagnose any problem and skillfully repair whatever damage there is. Always ask if the mechanics doing your cars have the appropriate certifications and a lengthy experience. Only when you get services from a reliable company with reliable employees can you have the total peace of mind that your car is in good hands. You must watch out as well if the company has the equipment needed to diagnose and correct a car problem. In technologically modern automotive repair shops, they use computers to quickly diagnose cars and provide the best course of action to adequately repair a problem. If the shop is not technologically equipped, the diagnosing and repairing processes will definitely take much longer. There is a big tendency as well that the mechanics in a technologically delayed environment would do a trial and error method. Another thing you have to consider is that the repair shop should offer not only trustworthy policies but also honest prices. A more expensive repair does not necessarily mean a more appropriate one. In general, certified repair mechanics costs higher than your everyday mechanic, but there are those who overprice as well. Always compare prices from other shops, and there are a lot of websites that could provide you with quotes and comparisons for every specific repair, spare part or type of maintenance. The author, Dan Burns, is the owner of Lloyd’s Automotive located at 982 Grand Avenue in St. Paul, MN. A trusted and respected automotive repair expert in the Twin Cities for over 30 years, Dan still works on vehicles almost every day and has developed his business to handle all mechanical, maintenance and repair needs.